Are you passionate about mental health in Suffolk? Would you like a role that enables you to make a difference? We are currently looking for new Trustees to join our Trustee Board. 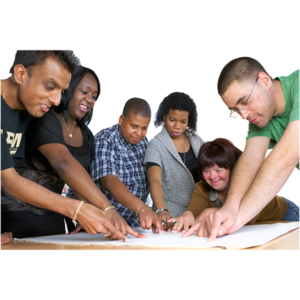 The SUF Board of Trustees seeks to be representative of the community that we support and this means that our staff and volunteers should contain the same or similar proportions of the diverse individuals and groups as the wider community in our area. We actively encourage and welcome applications from people of all backgrounds. We particularly welcome applications from Black Asian Minority Ethnic groups and younger people, as they are currently unrepresented on our Trustee Board. Suffolk User Forum (SUF) is a unique, service user led charity committed to promoting the mental health service user voice to support commissioners and service providers to develop mental health and well-being services that deliver improved outcomes for patients, service users and family carers. The role of the trustee is a rewarding one. The Board meets about 10 times per year, at our office in Kesgrave. Our Trustees ensure SUF delivers on its vision and charitable objectives to be an inclusive and trusted mental health user led network that values, promotes and strengthens the user voice for positive change, independence, human rights, choice and control. The Board sets the overall strategic direction and provides scrutiny to our processes and decisions. Trustees also ensure standards of governance are upheld as well as assessing business development, risk management, performance management and internal control. Our trustees are key to ensuring we continue to remain a viable organisation and stay on track to deliver our charitable objectives. We can offer new trustees support and training regarding the role of being a trustee. All applicants must provide a CV and this should be sent to our Company Secretary Mr Ken Burr. We would be pleased to invite anyone who is interested in this exciting role to attend one of our Board meetings as a guest. All applicants will be invited to an informal interview. The trustee role in SUF is voluntary and is not a paid position.